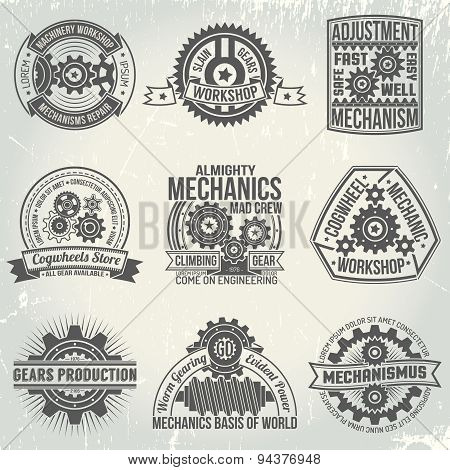 Logo with gears and mechanisms. 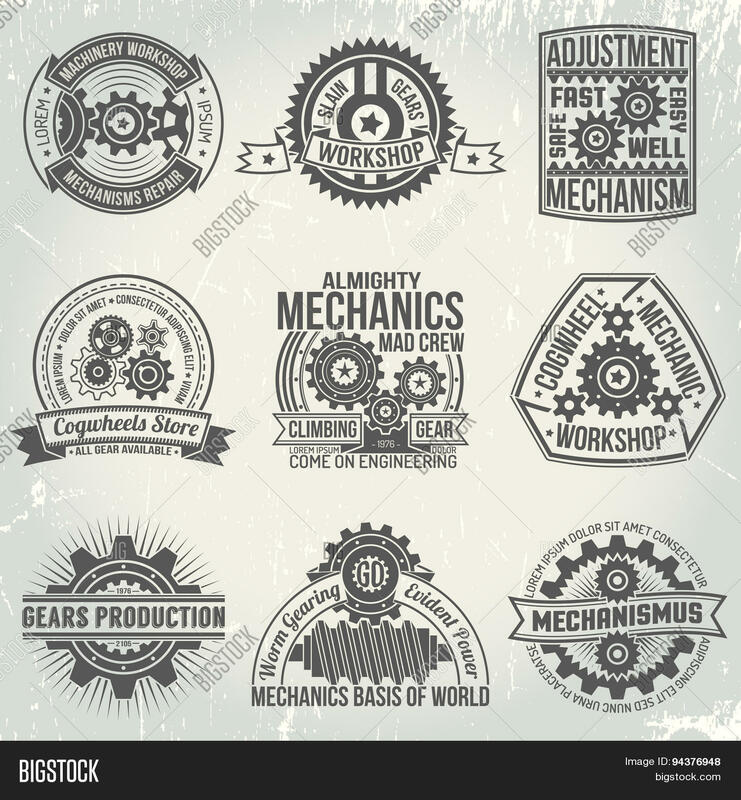 Emblems on the subject of mechanics and gears in a retro style. Vintage mechanisms. The text is easily replaced by yours. Background with scratches on a separate layer.